A beautiful handtied bouquet of brightly coloured summer flowers creates a real eye catching design, sure to brighten anyones day. The choice of flowers in this bouquet are sure to include only the highest quality stems, which will arrive in bud, so the recipient gets the full enjoyment of them from bud to bloom, this bouquet is a classic choice which is sure to delight. 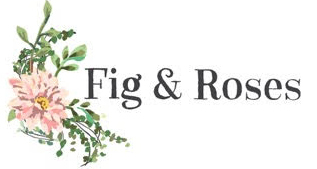 Every bouquet Fig & Roses make is arranged by our in-house florists, using the freshest seasonal flowers and arrives beautifully gift wrapped and presented in water, in a gift box. A hand written message card will also be included. 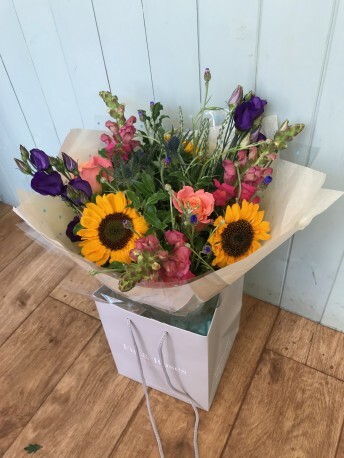 Please note, seasonal variations may apply, and due to the nature of each bouquet being custom made by hand, the picture shown here may not entirely reflect the final product. Orders received by 2pm are available for same day deliveries at no extra cost.